Insta-Cover de la canción “Back In The City” de Alejandro Sanz y Nicky Jam. The song of Back In The City - Alejandro Sanz & Nicky Jam (Iván Peláez) #BackInTheCityCover #EnCualquierEsquina is just for review only. 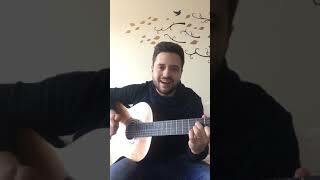 If you really love this song"Back In The City - Alejandro Sanz & Nicky Jam (Iván Peláez) #BackInTheCityCover #EnCualquierEsquina", please buy the original song to support author or singer of this song.